The Russell rebounded 12 points today after a 14-point drop on Monday. We are not going to gain much ground just alternating gains and losses. 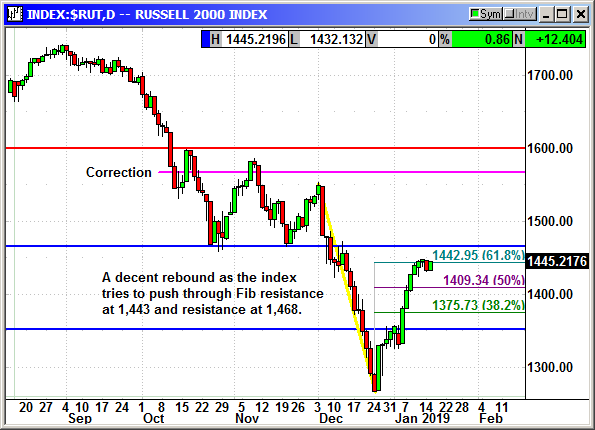 The Russell is struggling with the Fib resistance at 1,443 with the next test at horizontal resistance at 1,468. Today was a decent day, helped by the financial sector. However, we need to see a new leg higher soon or investors will start to worry.